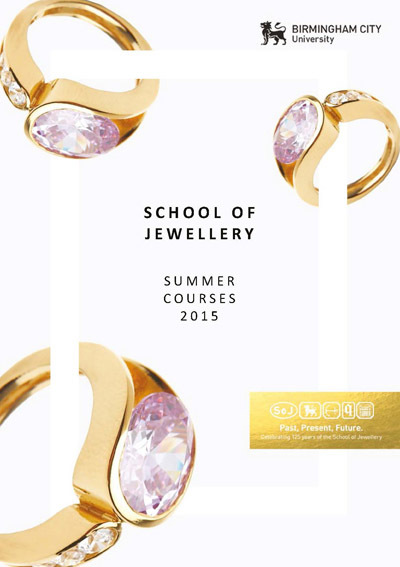 The School of Jewellery’s Summer Courses Brochure for 2015 is now available. This digital brochure has been released before the printed one so that you have a real advantage in booking courses. Booking opens on March 12th and the procedure will be slightly different this year as payment will be taken with the booking now that the University is using the secure Eventbrite system. There are over 20 exciting courses suitable for beginners or professionals for you to choose from this year. Highlights include Tom Rucker on ‘Creative Laser Welding’, Kevin Grey on ‘Forging a Spoon’, Steve Millington on ‘Spinning a Cup’, Richard Witek on ‘Fine Techniques’ and Stephen Goldsmith with a ‘Polishing Masterclass’. We also have a Diamond Grading course alongside our ever popular ‘Introduction to Stone Setting’. 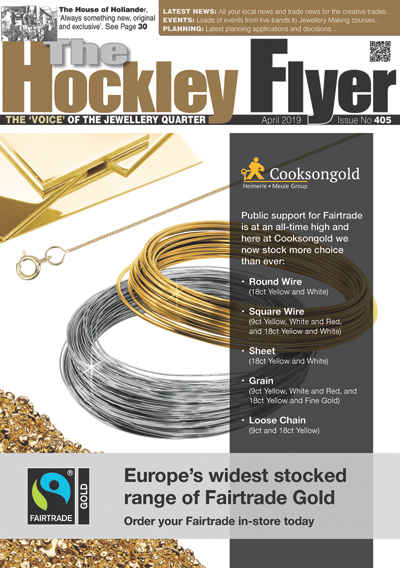 Katherine Campbell-Legg’s friendly ‘Silver Jewellery Making for Beginners’ would be ideal for those of you wishing to extend your knowledge on from silver clay or beading. Hand engraving, basic silversmithing, chain making, drawing and portfolio classes are also available. There is also a new day course aimed specifically at retailers who wish to gain an insight into the manufacturing process.